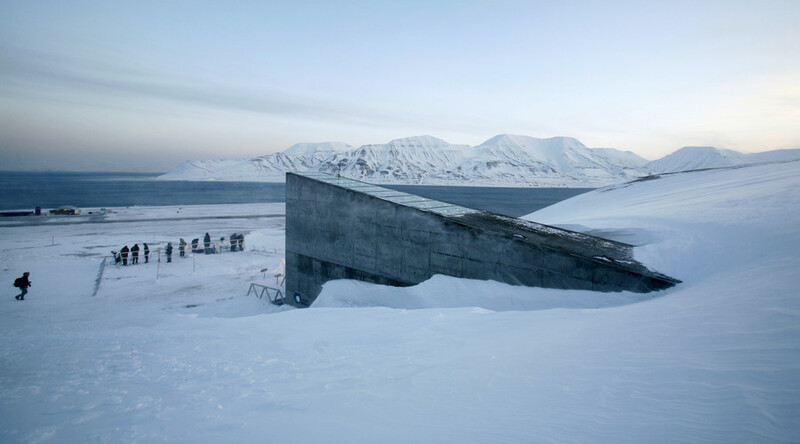 The Norwegian government has confirmed plans to boost defenses at the Svalbard Global Seed Vault after reports of flooding at the facility prompted panic that the world’s future food supply could be destroyed. Panic began to spread online despite the article specifying that the seeds had not been affected by the incident. The Svalbard Global Seed Vault is located under the snow on the Norwegian island of Spitsbergen in the remote Arctic. It is intended to operate as a backup to seed banks around the world in case of a major catastrophe. Cary Fowler, former executive director of the Crop Trust, the firm that helped create the vault, took to Twitter to clarify there had been no ‘flooding’ at the facility. @RyanMaue It didn't flood. Some water enters tunnel just inside beyond building you see yearly and is pumped out. Nothing new. Seeds at opposite end. The agriculturalist explained that for any water to get near the seeds it would have to get past two independent pump systems, go uphill through three doors and then survive 0.4°F (-18°C) temperatures. Hege Njaa Aschim, a spokesperson for the Norwegian government which owns the vault, told RT.com that “the seeds and the vault itself was never at risk”, but they do not want water even at the entrance and are working on minimizing this risk. Aschim said that the Svalbard area is not immune to climate change and experienced extreme temperatures and rainfall in October last year, the second hottest October on record for the planet, according to data from NASA. Very small water intrusions were noticed previously and work commenced last Autumn to minimize the risk. The government agency Statsbygg published a statement Saturday detailing the planned technical improvements. Among these are the removal of heat sources in the access tunnel and the construction of drainage ditches on the mountainside to prevent melt water accumulating around the entrance. Waterproof walls will also be constructed inside the tunnel to offer additional protection for the actual vault. Statsbygg is carrying out a research and development project in conjunction with climate experts that will monitor the permafrost on Svalbard. It will also explore the possibility of creating a new access tunnel with the aim of improving safety in the long term. Aschim said, however, that there is no discussion around relocating the vault. The improvement works will be funded by the Norwegian government but no estimate of the expected costs has been provided. The measures will be implemented from now to 2018. The Crop Trust is targeting a $850 million endowment fund goal and has so far secured over $180 million in donations out of a pledged $250 million. The Bill and Melinda Gates Foundation has donated nearly $30 million to the Crop Trust, according to the organisation’s donor list. Also among the donors are major GMO producer DuPont/Pioneer Hi-Bred, crop chemical producing giant Syngenta AG, and the Rockefeller Foundation. The vault currently holds 930,000 seed samples from all over the world but can store up to 4.5 million seed samples for hundreds of years. Each sample contains an average count of 500 seeds, so a maximum of 2.25 billion seeds can be stored in the facility. India has deposited the largest quantity of seeds to date - more than 94 million, followed by Mexico with 38.8 million seeds. The US and Zimbabwe have each lodged more than 20 million seeds.